You’ve been convinced: video matters. Cisco’s prediction — that by 2021, 82% of all consumer internet traffic will be video — has been etched into your brain and you want a big slice of that chocolate cake. So you create intriguing, relevant videos that show off your products and answer customer questions. This brings up another issue. How do you get your content in front of more people? How do you increase your reach beyond YouTube, your own social media channels and the shares your followers send your way? Today we’re going to tackle two methods of content distribution that can help you reach a brand new audience. 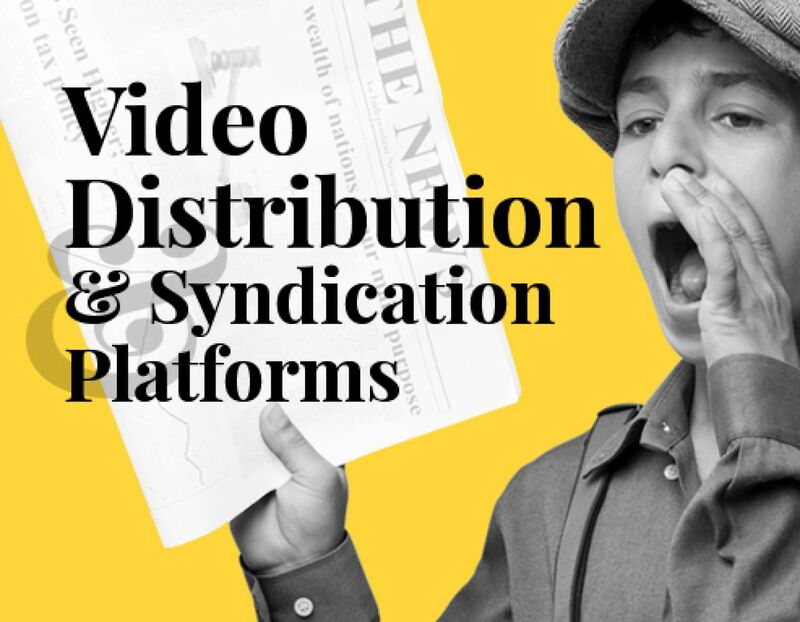 We’ll take a look at video content distribution platforms and examine syndications platforms. What’s a video distribution platform? A distribution platform helps you share your content with a brand new audience. How does it work? The platform lets you borrow their audience, influence and connections in exchange for money. Facebook is one of the biggest content distribution networks out there. Hand over some cash and you can use their sponsored posts to get your videos in front of a custom built audience. Pretty much every business can find an audience on Facebook. With 1.3 billion daily active users you can reach a huge segment of people anytime, anywhere. Melyssa Griffin uses sponsored posts as part of her eCourse marketing funnel. The post targets a custom audience, invites them to a workshop, and the workshop starts a nurturing sequence. You can use sponsored posts to do all sorts of fun things. Make a short teaser video and invite people to your latest webinar. Share a relevant video and ask people to sign up to your newsletter. Create a video that answers a specific question and use it to drive viewers to a landing page that offers more in-depth solutions. Whatever your CTA, Facebook-sponsored videos can help you distribute content to a lot of different people. But what if your audience isn’t on Facebook? What if they just hang out on Twitter? No problem. You can use sponsored tweets to get the same kind of results. Sometimes you want to break away from social media and get your content out there in a different way. That’s where content discovery engines like Outbrain and Taboola can come in. You’ve probably seen this kind of assembly at the bottom of various articles. This particular screenshot came from an article published in Time. How did this content get there? 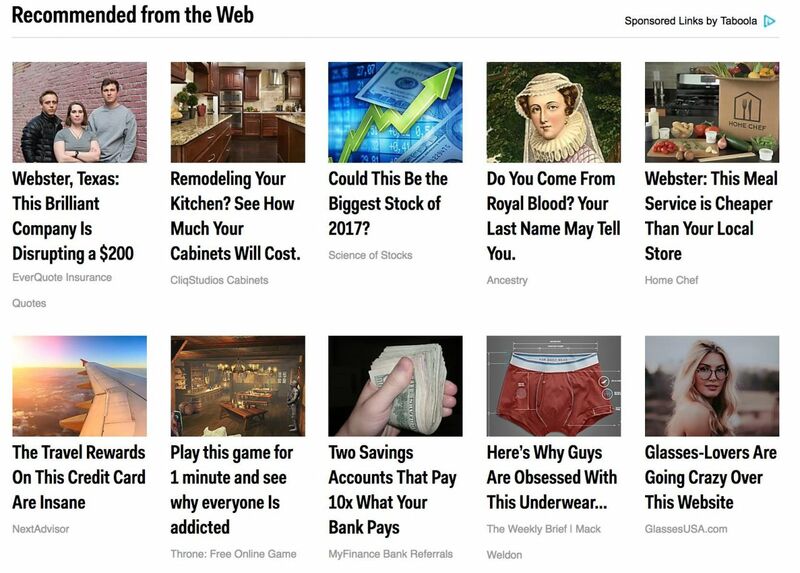 Outbrain has partnered with some pretty big digital publications, including Mashable, CNN, People, Slate, and Time. It uses these partnerships to serve relevant content to each publication’s readers. If your ideal clients hang out in one of those spots, Outbrain can help get your name and content in front of them. Taboola takes a similar approach. They’ve got partnerships with companies including Business Insider, NBC, and USA Today. When I clicked on the Home Chef link from the Taboola suggestions list, I was taken to landing page. 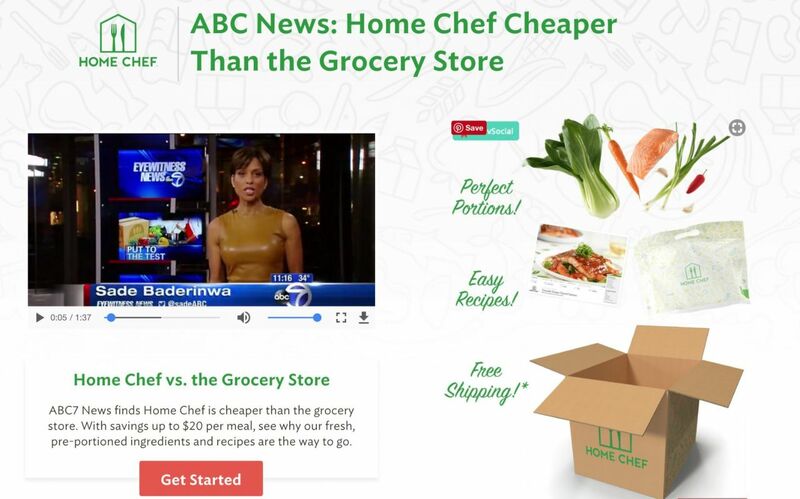 Here, Home Chef built their legitimacy by sharing a review by a national news channel and tried to quickly seal the deal by offering a $30 discount. You can use Taboola and Outbrain to promote blog posts and landing pages with embedded videos in your clients’ favorite digital haunts. Both methods have some major benefits and some less than shiny sides. Using a Facebook-sponsored post can help you reach a targeted audience and use Facebook’s ad analytics to track and adjust your strategy. On the downside, you’re limiting your reach to social media. 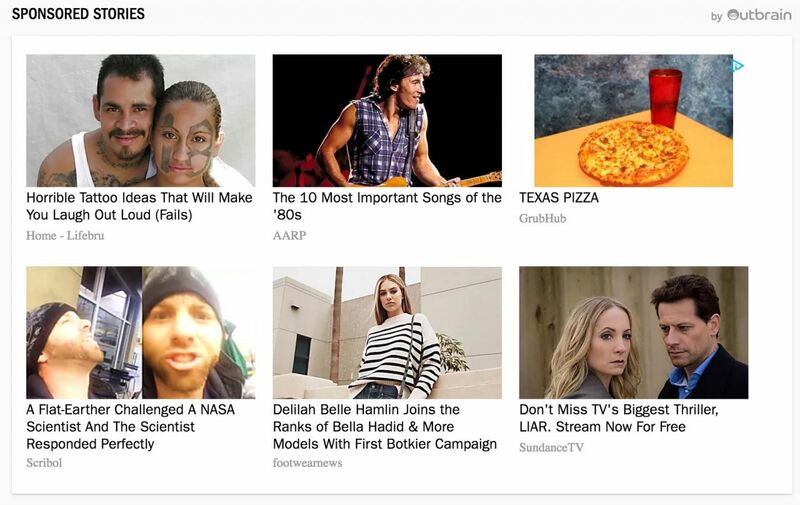 On the other hand, using Taboola or Outbrain gives you a lot less say over where and how your content gets displayed. However, you get to reach people outside the social media bubble. Which one’s better? It all comes down to your audience and your priorities. Figure out where your people are, and then create a strategy that helps you reach them in the best way possible. What about content syndication platforms? When you distribute your content through your email newsletter, social media, or a platform like Outbrain, you’re driving traffic to a page you created and have full control over. However, when you syndicate content, you give third parties permission to republish your content on their sites. They attribute the content to you but drive traffic to their own pages. Content syndication is a contentious topic. Some marketers swear by it. Others worry about duplicate content and punishment by the almighty hand of Google. Is it worth it? Only you can answer that question. Dig into the research and decide whether the upside is worth it for you. Using a content distribution or syndication platform can help you reach new people and grow your audience. Before you dive in, spend some time working out a concrete and measurable marketing plan. Decide what your goals are and come up with a way to track and measure the results. One of the fastest ways to waste money is by going in without a plan. Set your goals, figure out what works best for your audience, and run some tests. Good luck!